Crumbling Foundations - Schaefer Inspection Service, Inc. 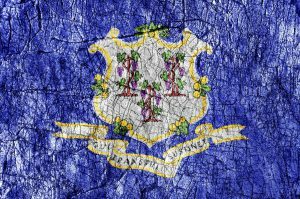 The crumbling foundation crisis in Connecticut finally has some promising news! A process has been put into place for homeowners to get needed relief from the expense and stress of identifying and remediating your home if affected with a crumbling foundation. Approximately 41 towns in CT may have homes built with concrete supplied by the JJ Mottes Company between 1983 and 2016. Claim Type 1: for those who have a compromised foundation according to the set standards that are seeking financial assistance for the foundation replacement. Claim Type 2: for those homeowners who had a comprised foundation according to the set standards that have already replaced an entire foundation and are seeking reimbursement for the costs associated with replacement. The application may be submitted online with documentation of visual inspection by a licensed CT engineer and/or core boring test result. CFSIC may pay up to $175,000.00 of the cost of remediation. They will also reimburse for the licensed engineer’s inspection and 50% of the core boring testing up to $2000.00, if needed. Condominium owners, who do not own the foundation under their unit, may also be eligible for relief. There have been some recent changes to the required real estate seller disclosure form as of August 2018. Sellers are required to disclose whether they know of any problem with the foundation or if any testing has been done. The disclosure also states that a purchaser MAY have a home with a poured concrete foundation inspected for signs of pyrrhotite in the concrete. Below you will find links for more information, a map of identified towns, and the application to file a claim. Schaefer Inspection Service can help you with the engineering requirement or questions for a crumbling foundation anywhere in CT. Call our office for more information: 800-345-2776.